The ripples in the media keep moving out from the original Greenville Phantom Clown sightings, and it was only a matter of time until other Forteana would get involved. I have kept alive Jim Brandon’s remarks on the impact of the Fayette Factor through tracking the incidents way beyond his first mentions of them in his The Rebirth of Pan and his private correspondence. They hold an intrinsic truth for synchromystic investigators, and these self-evident discoveries are key to gathering insights through time and space. The only question would be will it be a Fayette, a LaFayette, a Lafayetteville, or a Fayetteville? The winner? Fayetteville. In North Carolina. Fayetteville police said around 10 p.m. Tuesday [September 6, 2016], a call came in for a sighting of a clown near the wood line at Fillyaw Road and Applewood Lane. Officers responded but said they found nothing suspicious. An anonymous call made the report and when law enforcement got on scene, they say they could not contact the caller. “Definitely something out of the ordinary. We want people to report those if they see any clowns in the area. At this point in time, it is unconfirmed. We can’t say there was or wasn’t a clown but we will check up on any reports,” said Officer Shawn Strepay with Fayetteville police. However, some people who live right at the intersection have no doubts about it. “I think there really is someone out here dressed. I think someone watched too many clown shows, you know, American horror stories or something and they are trying to impersonate or do the same thing,” said Chris Brinkley who lives at an apartment complex right at the intersection where the sighting came from. Other people aren’t as sure. “I haven’t seen any sightings of a clown,” said Corrisa Corbitt. Corbitt lives right across the street from where the sighting happened. She says her 9-year-old son and 6-year-old daughter play outside all the time, she says regardless of clowns when she heard about the story…she told her kids to be careful. “Anything could happen it could be a hoax it could be true but I still take safety precautions….” Source. A 911 call reveals the moments after two women said they saw a clown standing near a Fayetteville intersection Tuesday [September 6, 2016]. “We just saw a man dressed up in a clown outfit on the side of the road trying to stop cars,” the caller told the dispatcher. 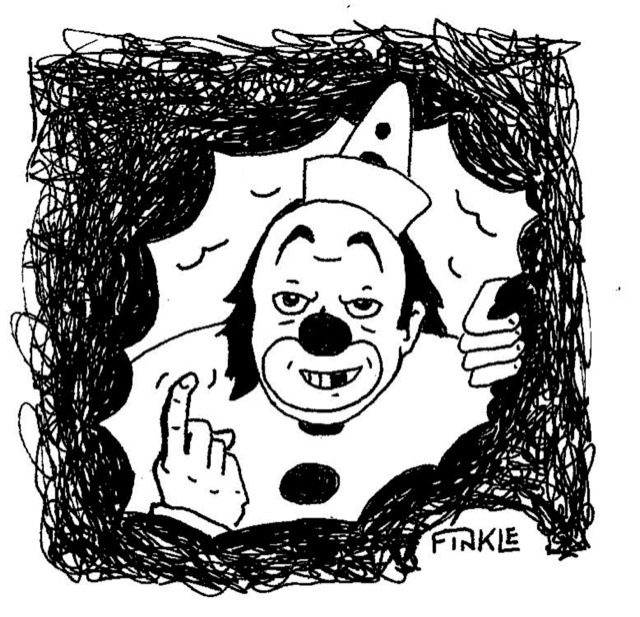 Fayetteville is the latest city in North Carolina with reports of a clown sighting. The past week, clown sightings have been reported in Greensboro and Winston Salem. “We saw on the news about all this stuff,” the caller said. The woman called 911 around 10 p.m. after seeing a man in red clown mask standing at the intersection of Fillyaw Road and Applewood Lane. “I’m scared. I want to go home,” the caller said. She described the man as wearing a red clown mask and a paintball vest. “That was scary as heck,” she told the dispatcher. About half way through the five minute call, the woman turns her vehicle around to confirm the intersection. “Definitely something out of the ordinary. We want people to report those if they see any clowns in the area,” said Officer Shawn Strepay with Fayetteville police. Source. h/t Robert S; Steve L.
Dylann Storm Roof is the alleged killer of nine people on the evening of June 17, 2015, at the Emanuel African Methodist Episcopal Church in downtown Charleston, South Carolina. He was captured the morning after the attack in Shelby, North Carolina, at a traffic stop on Route 74. 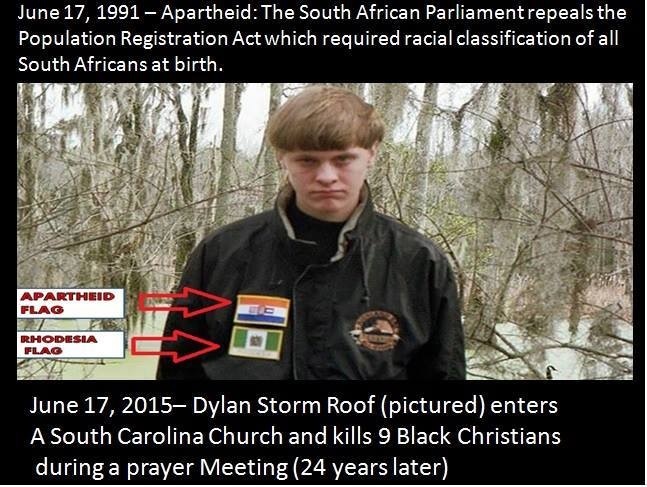 Dylann Storm Roof? Is that his real (birth) name? “There’s a storm coming…,” of course, from The Dark Knight Rises (2012). Colorado’s Aurora, “red dawn,” and James Holmes come to mind. What more does the moniker tell us? The simple explanations run in these directions. Dylan: This is a Welsh name linked to the Celtic word for “sea.” Also, it can be read as “Sea God” = Neptune, Poseidon. And there we go with the Trident, again. Giant Neptune and his Trident on Hilton Head, South Carolina. Storm: An occurrence of bad weather in which there is a lot of rain, snow, and often strong winds. This unusual and interesting name derives ultimately from the Old Germanic personal name “Hrodwulf”, which is composed of the elements “hrod”, meaning “renown” and “wulf”, wolf. In Old Norse the contracted form was “Hrolfr”, in Old Danish and Old Swedish “Rolf”, and these personal names reached England first through their popularity with Scandinavian settlers before the Norman Conquest of 1066. The Normans thereafter introduced their own form of the name, generally found as “Rou” or “Roul” and often Latinized as “Rollo”. There are more than twenty variants of the modern surname, ranging from “Rolf”, “Rolfe”, “Rolph” and “Roalfe” to “Rofe”, “Roff”, “Roffe”, “Roof”, “Rulf” and “Rule”. Source. But the middle and surname, Storm Roof, suggests a neo-Nazi bent. The church Roof allegedly attacked is one of the United States’ oldest black churches. The senior pastor, the Rev. Clementa C. Pinckney, a state senator, was among the nine people killed. 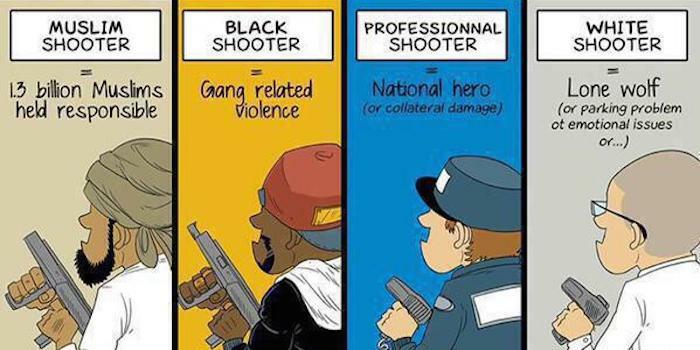 In the immediate aftermath, police sought a white male, later identified as Dylann Storm Roof. 1876 – American Indian Wars: Battle of the Rosebud: One thousand five hundred Sioux and Cheyenne led by Crazy Horse beat back General George Crook’s forces at Rosebud Creek in Montana Territory. As noted, June 17 is the anniversary of when the Statue of Liberty came to the USA. “Liberty” is a goddess named for and representing the concept Liberty has existed in many cultures, including classical examples dating from the Roman Empire to those representing national symbols such as the American Columbia and its Statue of Liberty. Columbia has appeared before in mass shooting. One of the most obvious, of course, being Columbine, the name of the high school and today associated with the name of the massacre that happened there (Littleton, Colorado) on April 20, 1999. On February 1, 2003, the Space Shuttle Columbia on mission STS-107 disintegrated during reentry into the Earth’s atmosphere, killing all seven astronauts aboard. In February 2015, [Dylann Roof] attracted attention at the Columbiana Centre, a shopping mall, when, dressed all in black, he asked store employees “out of the ordinary questions” such as how many people were working and what time they would be leaving, according to a police report. Roof’s current address is listed in public records as being in this rural speck of a town southeast of Columbia with an overwhelmingly black population. From school records, Mr. Roof appears to have moved back and forth as a child between Richland County, which includes Columbia and Eastover, and nearby Lexington County to the west. He attended ninth grade twice: at White Knoll High School in Lexington in the 2008-9 school year and, the next school year, at White Knoll until February 2010, when he transferred to Dreher High School in Columbia. She added that her grandmother had called her Thursday morning and told her: “Get out of that bed. That boy was from Garners Ferry,” the name of the street where she and Mr. Roof lived. Source. 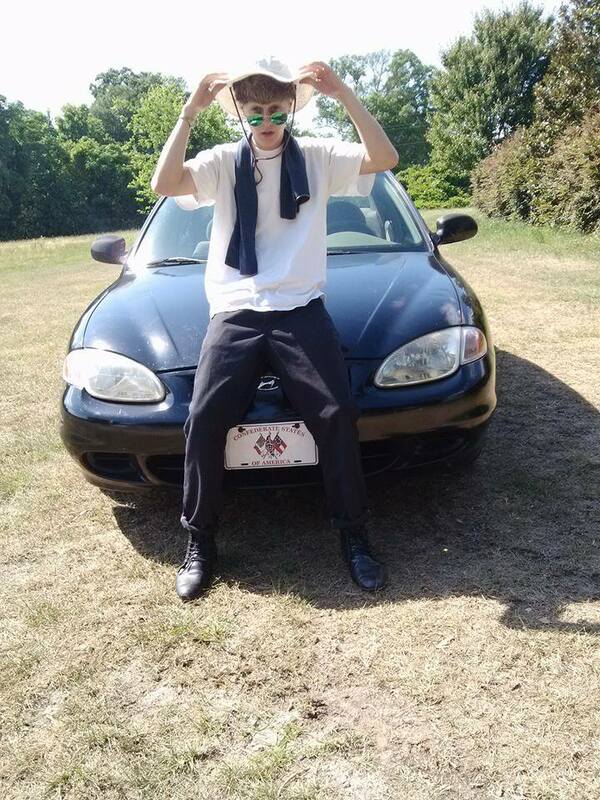 Roof was apprehended about 11 a.m. on June 18, 2015, after a motorist spotted his black Hyundai Elantra, which displays an apartheid “Confederate States of America” license plate on the front bumper, while driving near Shelby, North Carolina. In an odd twist, the Supreme Court ruled Thursday, June 18, 2015, that Texas could refuse to offer specialty Confederate flag license plates that had been requested by the Sons of Confederate Veterans. 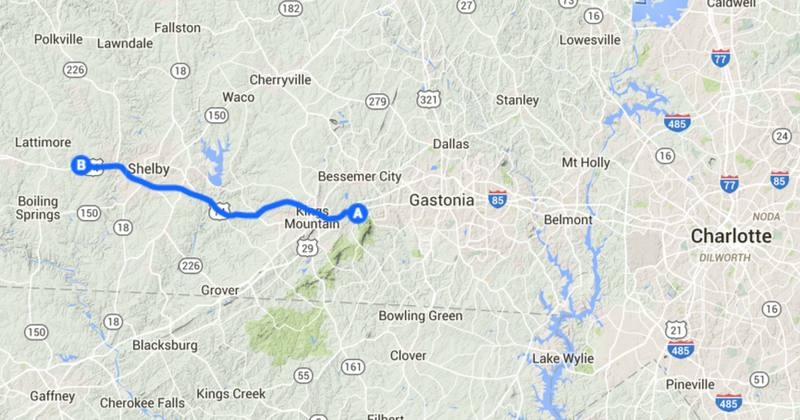 [Debbie] Dills, driving from her home in south Gastonia into work, first spotted [Dylann] Roof on U.S. 74 near Sparrow Springs Road in Gastonia [North Carolina]. According to Dills and Frady, Shelby Police Department had officers near the Shelby Ingles location on U.S. 74/West Dixon Boulevard and Polkville Road. Just 20 short minutes after Dills’ initial call to her boss, Shelby police pulled Roof over near Plato Lee Road. After initially spotting Roof’s car in south Gastonia, she said she followed Roof’s car to the Kings Mountain exit on Bypass 74, then exited to head to work at the florist shop. Something didn’t feel right to her, so she made a quick right turn onto Kings Street and headed back to the bypass and traveled west to attempt to catch up to Roof to provide more details. She caught up with Roof’s Hyundai, again, near the Wal-Mart in Shelby and continued to follow him, while she stayed on the phone with Frady. She saw Shelby police begin to follow Roof at the Ingles on U.S. 74 and Polkville Road. She stayed behind, then knowing the situation was under control, she made a U-turn at Cleveland Funeral Services, but seemed to still want to see the process all the way through. When she U-turned, again, she saw flashing blue lights and Shelby Police officers lining the side of West Dixon Boulevard with Roof pulled over and apprehended.Source. All of this happened near and/or in Shelby. Perhaps the late James Shelby Downard, Synchromysticism’s Godfather, is having a little nod about that twilight language sidetrip? And the names of the victims? Why would Roof pick the Emanuel African Methodist Episcopal Church? There is no doubt that if you wanted to hit at the heart of the black church in America, the location to attack would be “Mother Emanuel.” Hillary Clinton was there shortly before the shootings. Jef Bush was scheduled to visit, but cancelled after the killings. 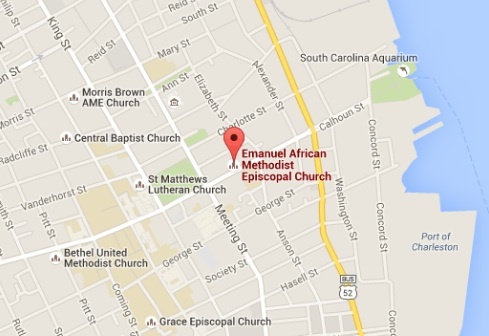 The Emanuel African Methodist Episcopal Church is located at 110 Calhoun Street, Charleston, South Carolina. The history of Emanuel African Methodist Episcopal Church reflects the development of religious institutions for African Americans in Charleston. Dating back to the fall of 1787 in Philadelphia, Pennsylvania, Richard Allen founded the Free African Society, adhering to the Doctrines of Methodism established by John Wesley. In 1816, black members of Charleston’s Methodist Episcopal church withdrew over disputed burial ground, and under the leadership of Morris Brown. The Rev. 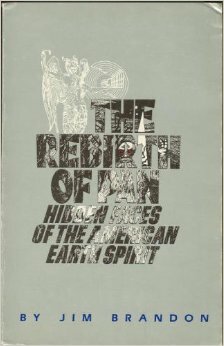 Morris Brown organized a church of persons of color and sought to have it affiliated with Allen’s church. 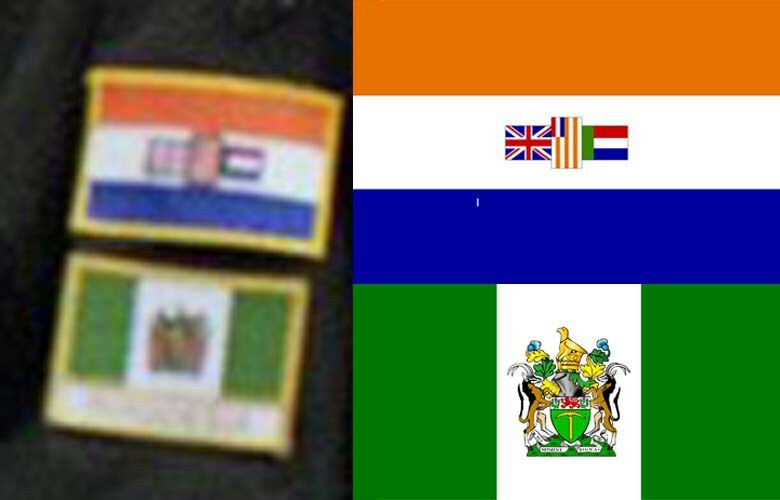 Three churches arose under the Free African Society and were named the “Bethel Circuit”. One of the Circuit churches was located in the suburbs of Ansonborough, Hampstead, and Cow Alley, now known as Philadelphia Alley in the French Quarters of Charleston. Emanuel’s congregation grew out of the Hampstead Church, located at Reid and Hanover Streets. In 1822 the church was investigated for its involvement with a planned slave revolt. Denmark Vesey, one of the church’s founders, organized a major slave uprising in Charleston. Vesey was raised in slavery in the Virgin Islands among newly imported Africans. He was the personal servant of slavetrader Captain Joseph Vesey, who settled in Charleston in 1783. Beginning in December 1821, Vesey began to organize a slave rebellion, but authorities were informed of the plot before it could take place. The plot created mass hysteria throughout the Carolinas and the South. Brown, suspected but never convicted of knowledge of the plot, went north to Philadelphia where he eventually became the second bishop of the AME denomination. During the Vesey controversy, the AME church was burned. Worship services continued after the church was rebuilt until 1834 when all black churches were outlawed. The congregation continued the tradition of the African church by worshipping underground until 1865 when it was formally reorganized, and the name Emanuel was adopted, meaning “God with us”. The wooden two-story church that was built on the present site in 1872 was destroyed by the devastating earthquake of August 31, 1886. The present edifice was completed in 1891 under the pastorate of the Rev. L. Ruffin Nichols. The magnificent brick structure with encircling marble panels was restored, redecorated and stuccoed during the years of 1949-51 under the leadership of the Rev. Frank R. Veal. The bodies of the Rev. Nichols and his wife were exhumed and entomed in the base of the steeple so that they may forever be with the Emanuel that they helped to nurture. Source. It is worthy of noting that Jim Brandon, an associate of James Shelby Downard, began writing me several months ago about the high frequency of people with the name Nichols (and related crypto-Nick forms) showing up as a significant name in some of these sync events. So, in the news of the last two days, here it develops that the Mother Emanuel serves as an actualtomb for the deceased Reverend Nichols and his wife. Charleston, the war sparking point at pentagonal Ft Sumter, we also of course know as the starting place of the Scottish Rite, being on latitude 33 degrees. 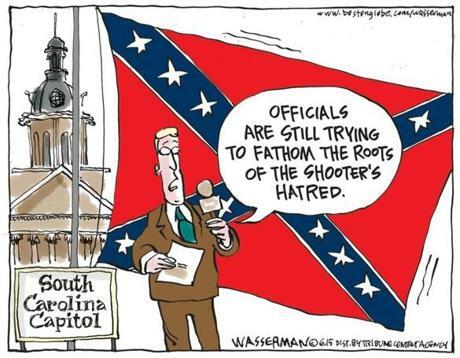 The War Between the States, the Civil War, began in Charleston, lest we forget in the midst of all this wall-to-wall coverage of Dylann Roof. The Scottish Rite of Freemasonry, Southern Jurisdiction, USA, of Albert Pike note, began there too. 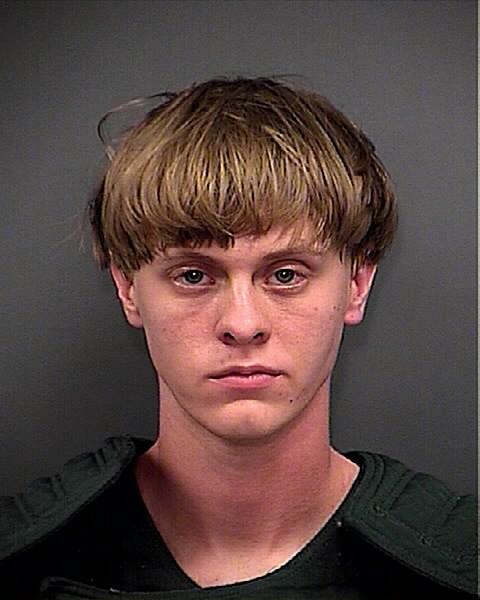 Very Charlie Manson (Aquarius on television): Dylann Roof confessed to authorities to shooting and killing nine people this week at a historically black Charleston, South Carolina, church, two law enforcement officials said. 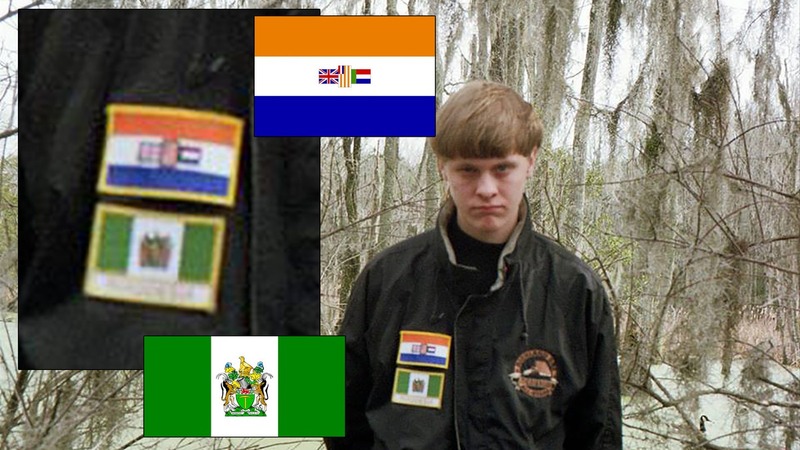 One of the officials said that Roof, who is white, told investigators that he wanted to start a race war, reported CNN. And more to come on another day…. On 06/25/15 I attempted to get an Edible image cake printed with the confederate flag image on it at Walmart. It was denied. The next day I had them do the same for the ISIS battle flag image I brought to them. They cheerfully did it. 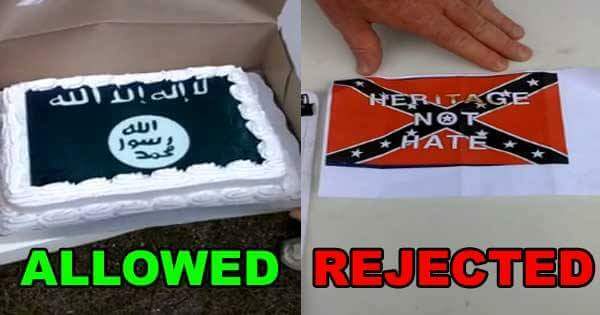 and sold me my ISIS cake. WTF Walmart! 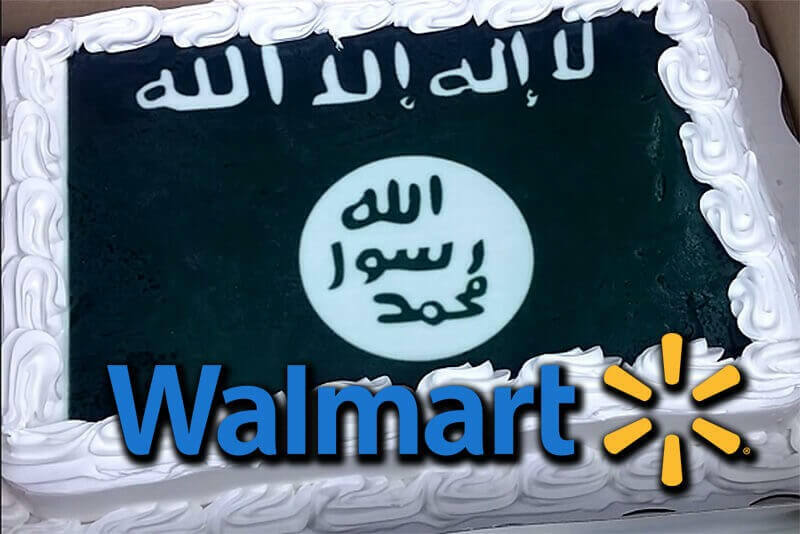 ISIS is beheading Christians, selling little girls into slavery, and is currently a terrorist org at war with the United States……..but you can’t buy the General Lee toy car at Wallmart? It’s a damn shame. ISIS (Islamic State) has again been in the news recently following an onslaught of seemingly coordinated Muslim terrorist attacks in France, Tunisia, and Kuwait on Thursday. How Racist Is The Confederate Flag?